Historically, [WayBack] W1036: Variable '%s' might not have been initialized (Delphi) has had a lot of gotchas. The most important still is that it never show for managed types (strings, interfaces, etc). He noticed it in Delphi XE and 10.2 Tokyo. I tested it with the Win32 compiler in XE8. Because a var parameter means that the caller should pass in an initialised parameter. Otherwise it should be an out parameter, not a var parameter. var parameter for reference types like TStrings (only pass as TStringList if it deliberately is not compatible with TStrings) is a risky thing anyway, because the called method can overwrite it and then the caller has to notice the change, then decide what to do with the previous value (likely free it). Looking better, I think it is a compiler issue. without a var, the instance of MyStrings (obtained by a mov instruction) gets pushed on the stack. What do the brackets ([L1]) represent? Linus Torvalds – Google+: Working gadgets: Ubiquiti UniFi collection (and a whole bunch of Unifi/Ubiquiti/Ubtn links). Seems my interest in Ubiquiti needs more research: [WayBack] Linus Torvalds – Google+: Working gadgets: Ubiquiti UniFi collection. 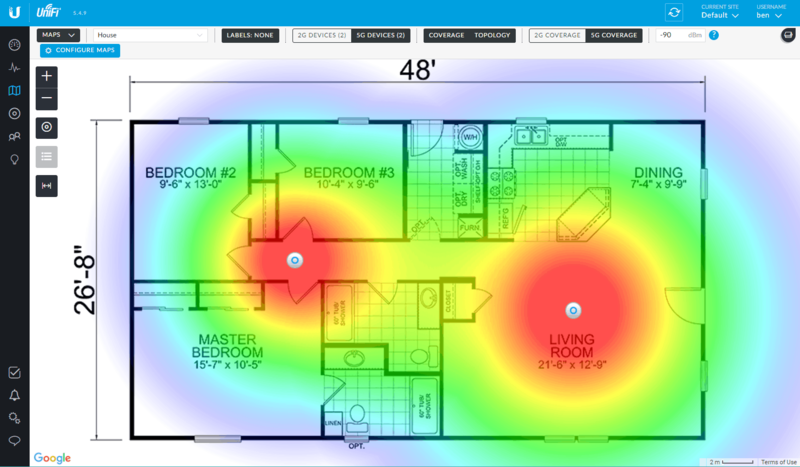 Hopefully by now I’ve time to re-design the WiFi coverage in the house and invest in a few of those access points. [WayBack 1/2/3] Vincent Parrett commented: I have two of these (along with a cloudkey and edgemax switch) in my house, perfect wifi coverage over the whole house. I’m also using ubnt routers and switches for our servers in the US. Less impressed with the edgerouter pro, has overheating issues due to poor thermal design, but still easy to use and configure etc. The easiest way to configure, is to have a Unifi Controller running in your network. The controller can be a [WayBack] Ubiquiti Networks – UniFi® Cloud Key, but does not have to be: a VM, Docker Container, Raspberry Pi, or other solution can work just as well. over PoE fails (it does not come up at all, the Mikrotik PoE led flashes red once when inserting the network cable). over USB fails as well (the CloudKey gets in a reboot loop: white led flashes in the same pattern like for good PoE boot, but goes dark after ~20 seconds, then after a few seconds rinse repeat. This despite the USB 1A power delivery of the Mikrotik: [WayBack] Cloud Key USB-C power adapter recommendation – Ubiquiti Networks Community. CloudKey boot cycle starts a few seconds after the PoE light on the Mikrotik becomes red (meaning PoE is active). I have tested the RBS960PGS with firmwares 6.39.2 and 6.42.7 after reading the [WayBack] Manual:PoE-Out – MikroTik Wiki. You can perma-link to your local device; it looks like https://unifi.ubnt.com/5.8.24.0/unifi/site/default/dashboard?d=############000000000#######000000000#######00000000######## where # are digits, 0 are usually zero digits and 5.8.24.0 is .0 prepended by the first 3 parts of your Unifi Controller Version (mine had Version 5.8.24-11016 at that time). For both the first and second one, you need to configure under “Config” -> “WLANs”. For the second one, you can clone from the first, then change the SSID names. I have a bunch of [WayBack] FRITZ!WLAN Repeater 1750E | Overview | AVM International devices; this is the quickest way to install them as LAN -> WiFi bridge (connect ethernet to your LAN; use the WiFi as a bridge). Set your laptop with a fixed IP address 192.168.178.127 with netmask 255.255.255.0 and gateway 192.168.178.2 for WiFi. Change the WiFI password and the SSID for 2.4 Ghz and 5.0 Ghz channels (I use a different SSID for both as many Fritz!Box devices have both bad 2.4Ghz performance and a hard time to automatically switch from 2.4Ghz to 5.0Ghz on the same SSID automagically). Google Sheet with forwarding addresses. Please feel free to add yours….